Live a Fulfilling Life of Freedom. 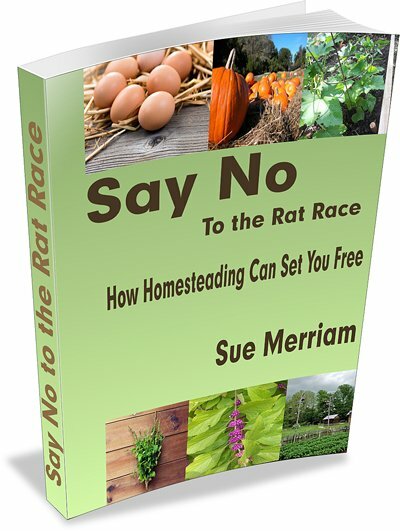 Hi, I'm Sue Merriam, homesteader and author of Joyful Homesteading. 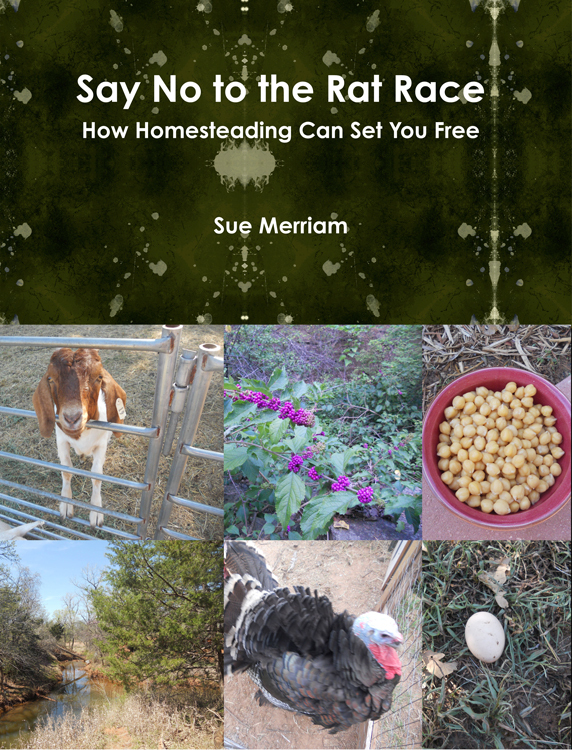 I'm passionate about homesteading, a way of life and a way of returning to a richer, more fulfilling way of living while pursuing the healthiest lifestyle possible. I know many people who want to pursue homesteading full time, but debt and financial struggles keep them from their dream. They are working at dead-end jobs they hate, earning far less money and paying far more expenses than ever before. They are living from paycheck to paycheck, struggling to pay rent or a mortgage. They are sicker than they've ever been, and worried about the mounting cost of health care. They can't escape the feeling that a better life is out there, but they have no idea how to achieve it. They feel trapped by debt. Could that be you? It was certainly the way I was living at one time. Despite being in my early twenties, I felt horrible all the time. I was working at a job I loathed, and had no idea how to break free. Even if I did know how, I didn't have the energy. I never had enough money for anything. My checks kept bouncing and credit card companies were constantly threatening to cancel on me unless I made a payment. After years of struggle, I finally figured out how to break free and live a life of wellness and fulfillment. Your book is excellent. Very practical, and the worksheets are really helpful. That's why I wrote Say No to the Rat Race, your go-to guide on breaking free and living a better, healthier and happier life right now. You can break free. This 99-page guide will show you how, and includes printable forms you can use to get out of debt, save money and live a fulfilling life of freedom. Because the secret to freedom is not earning more but learning to live on less. And it's easier than you think. And the best news is you don't have to deprive yourself. Part One: How We've Been Scammed! Why we feel compelled to spend, and spend some more, and how to break the cycle of reckless spending by learning how to focus on what you really want from life. How the food you buy can either break your budget...or save you hundreds of dollars a month, and how that same food can either build your health or destroy it. Because of GMOs and harmful pesticides, even the produce you buy at the store isn't optimal for your health, but you can save money and improve your health by growing your own healthy fruits and vegetables at home. I discuss the different ways this can be done. Having clean, antibiotic and GMO-free sources of protein are just as crucial as the fruits and vegetables we eat. I'll show you the many ways you can raise your own source of protein, even if you have limited space. Part Five: How Much Money Do You Spend? There's a common misconception that more money will equal freedom. But oftentimes, it's not the amount of money you have that's crucial, but rather how you spend your money that impacts your freedom. I'll show you smart ways to get the things you want and need in life without having to shell out a lot of money for them. I'll show you how to spend wisely, and I'll provide you with the tools you need, including valuable worksheets that will help you break free. Part Six: Too Much Stuff For Your Room? The notion of needing a big suburban house is a relatively recent phenomena that is destroying the financial status of many. I'll show you ways you can live in your own home you build yourself for less. 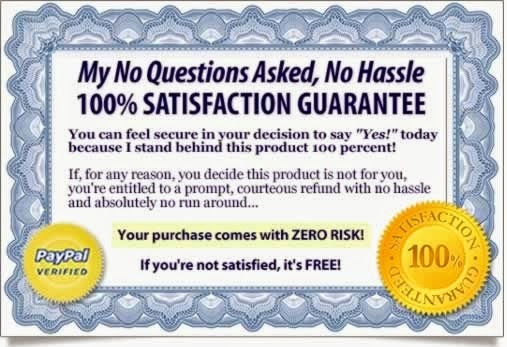 • More than $15,000 in credit card debt? • At least $27,000 in auto loans? • A minimum of $48,000 in student loans? That's a total debt of $262,000 per household. The interest alone is over $6,000 per year. That's a frightening amount of debt. The good news is, you can break free and get out of debt, no matter how high the amount of debt is. This guide will help you reduce that debt in record time. Once you get out of debt, you will have freedom to pursue a home business, if you choose. I'll show you the many ways you can earn an income off your land, break free and live off your land. You can read this pdf format ebook on your computer, kindle, iPad, Nook,Tablet, Smartphone, and most other devices. the cost of a fast food meal! Click the button to Pay Using Visa, Master Card or other Credit or Debit Card. Please note: You do not have to have a Paypal Account to buy this ebook. Click the gray button under the blue login button, and you can purchase this with a credit card. I am also offering a print version of this book that includes forms you can use to get out of debt and find financial freedom. Cost of the spiral-bound printed version is $24.95 plus $6.50 shipping cost. This book will be available to ship after November 14, 2016. If you’re not satisfied with this ebook, just contact me within 60 days of your date of purchase – and I’ll issue your 100% refund immediately. Your ebook purchase is 100% safe and secure – and 100% risk-free.